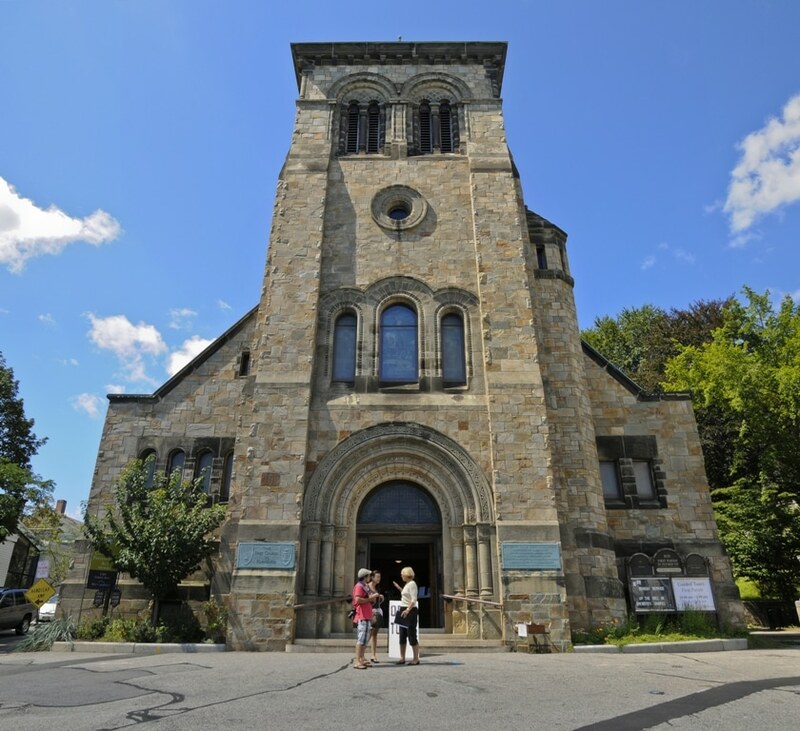 Massachusetts – First Parish Church of Plymouth – The First Parish Church of Plymouth was the literal place of birth of the inalienable rights to civic freedom and freedom of religion in what would come to be known as America. Wanting a place of worship, the Pilgrims created a church over 400 years ago at Burial Hill. This same spot is where, in 1899, the Meetinghouse was built as a memorial to those who crossed the waters between continents on the Mayflower. Thanks to fantastic record-keeping, records that date back to the Mayflower passenger’s time while still in England still exist today, illustrating how in 1606 these Separatists could not openly worship in the manner they desired. Instead, they secretly worshipped in the home of William Brewster. Because of these records, it is thought that today’s First Parish Church could quite possibly be America’s longest running place of worship. The Pilgrims’ first Plymouth winter was spent worshipping within a small building located on Layden Street by Plymouth Harbor. In 1622, a fort was built at Burial Hill. This then became the place at which they met, until finally building a simple church in 1648. The number of worshippers continued to grow, and their first church was falling into disrepair. In 1683, they built a new Meetinghouse in Town Square’s highest point overlooking the harbor. Up through 1744, the Meetinghouse and the town of Plymouth were one and the same. The church served both religious and municipal needs for its people. That year, however, the town bequeathed the land upon which the church sat to the church, thereby effecting the separation of church and state, if only proverbially. They began construction that year on a new church to accommodate their still rising number of members, and in 1831 enlarged it once again, this time in the gothic style of architecture that was popular at the time. This fourth church, crafted of wood as all of them had been, was lost to the fire of 1892. This prompted the congregation to plan the building of a more fortified church that would not only stand the test of time, as their faith had, but that would pay homage to everything that makes being an American a wonderful thing. The new church, Pilgrim Meetinghouse, now First Parish Church, opened its doors in 1897.